My favorite story about signings was told by Erma Bombeck years ago. She said that during one of her booksigning events at a large store, only two people stopped by her signing table all day: one needed directions to the restroom and one asked her how much she wanted for the table. Funny story, but it can be a pretty accurate description of some of these signings. Nothing's ever certain, nothing's ever guaranteed. All you can do is show up, bring along a positive attitude, and hope you don't wind up sitting there twiddling your thumbs, or playing checkers with the manager in an otherwise empty store. By the way, note that the title of this piece isn't "The Writer's Guide . . ."--it's "A Writer's Guide . . ." The opinions this writer will voice later are mine alone, and I welcome any and all opposing views (I might learn something). The nicest thing ever to happen to me at a booksigning occurred last spring, at a noon-to-four Saturday signing at a Books-A-Million in Meridian, Mississippi (about 100 miles east of my home). A middle-aged guy came in, saw me signing books, and introduced himself. He told me he had been here in this very store a week earlier, when he'd been driving through on I-20 on his way to Atlanta from his home in Dallas, and had spotted one of my books in the mystery section and had purchased it to have something to read during his spare time in Georgia. I thanked him for having done that, and he said, "No, thank you. The reason I'm here again is that I'm on my way back to Texas today and I liked the book so much I stopped in to buy your other four books too." That was of course music to my ears, and I would never have known anything about it if I hadn't happened to be signing there that afternoon. On the flip side of that is a trip I made a couple years ago to a signing at an indie store elsewhere in the state. I ended up sitting there for three hours, staring out the window at the street and watching the parking meters expire. Not one customer came through the front door that afternoon. The owner of the store was as gracious as could be, and I enjoyed meeting her, but saleswise that was my worst day so far, at a signing. My best days at regular (non-special-event) signings have been at chain bookstores at Christmastime, and my best days otherwise have been the launch/kickoff signings for new books (all my launches so far have been at Lemuria, a wonderful independent bookstore here in Jackson). 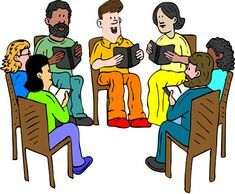 All writers seem to do well at those "special" events because they're widely publicized and attract friends and family. It goes without saying that every author has his or her own approach to booksignings. Some sit there with arms folded and glare at everyone who passes, and others leap over tables in frantic pursuit of any customer who happens to glance in their direction. Most, thank goodness, use methods that fall somewhere between these two extremes. 2. When I get there, I introduce myself to the manager and as many of the staff as I can. These are people you want on your side, and they're usually interesting folks anyhow. 3. If my signing area hasn't already been set up, I offer suggestions of where I'd like to be located. I've found that someplace near the front entrance works best. You might think that would be obvious, but some managers like to position their visiting authors in the in-store cafe area, or in an out-of-the-way spot to give them more room. That doesn't work well, for me. If you're in the cafe you're stuck among a bunch of folks more interested in eating and drinking and talking to each other than in buying your book--or having to listen to you talk to people about buying your book--and if you're in the back of the store or any other low-traffic area there's always the chance that a potential buyer will enter and leave without ever even knowing you're there. 5. If there's an in-store cafe, I ask whoever's behind the counter for a bottle of water or a refillable cup of water to keep with me at the signing table. If he or she later happens to bring me a cookie or an apple danish to help sustain me during my ordeal, so much the better. 6. I remain standing most of the time, and use my chair only when I'm signing a book. But that's just me. And I'm careful never to have more than one chair at my table. I did that once, and a tired lady with two babies in a stroller wound up sitting there and talking to me for half an hour. She of course didn't buy a book. 8. If a buyer wants me to personalize his or her book, I ask how the name is spelled. Even if it's John or Jane. And I have yet to guess correctly on Sara vs. Sarah. 9. I stick a bookmark (usually for one of my other titles) in every book I sign. If I have observed anything in the ten years I've been doing this (my first collection of shorts was published in '06), I have observed that a writer stands a better chance of selling a lot of books if he or she signs at a chain bookstore. 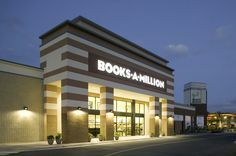 Independent stores are fantastic and will always be dear to my heart, but unless you're hosting a launch or the store is in your hometown, I predict you'll sign more books at a Barnes & Noble, Books-A-Million, etc., simply because there'll be more people in the store. More foot-traffic equals more sales. In the Believe-It-or-Not department, I have learned that you'll sell more books at a solo signing than at a joint signing with other authors. You'll probably have more fun at the multiple-author signings because you always meet new contacts and renew old friendships, but I can almost guarantee that you will sell fewer books. In my case, I always, always sell more if I'm the only writer signing in a particular venue on a particular day. I think it has something to do with human nature: a prospective buyer is much more likely to approach one person at a table than to approach a group of people, especially a group of people who might already be chatting with each other. Another thing I have found is that sometimes a reader will hesitate to buy a book from only one writer at a multi-author table for fear the other(s) might take offense. Maybe this is just a southern thing. Many of you will certainly disagree with this ranking, and that's fine. Some authors' comfort level at something like a library or church event might be greater than at a more commercial or unfamiliar venue, and if that's true for you, do whatever works. Again, these are my observations only. Remember too that ANY of these opportunities is a lot better than sitting at home or in your publisher's office looking at your hopefully-good-but-possibly-dismal sales figures. Let me mention a couple more advantages/disadvantages regarding chain bookstores vs. indies. Chain-store signings can sometimes be easier on the author because the books are usually already on the shelves (handled via the publisher and distributor), and you don't have to transport them to and from the store as you might at a smaller bookstore. 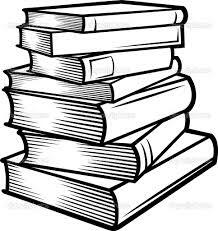 Conversely, though, if you sell out of all your books in a chain store, they often won't allow you to bring more books in; at independent stores you can just go out to your car and fetch another stack. A final note. I've found that the best signing times are the last two or three weekends before Mother's Day and the eight or ten weekends before Christmas. (At least here in the South.) My publisher always tries to schedule me at large bookstores almost every Saturday in December, November, and late October. For the past seven or eight years, I've even appeared at some of the same stores twice during the pre-Christmas season (once in October and once in December). I have never yet signed on Christmas Eve because that's family time for me, but that's obviously one of the best days of the year if it suits your schedule. 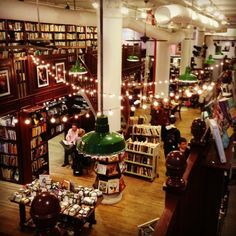 For those of you who are writers, where are the places you most enjoy signing books? At which places have you been most successful? Do you consider signings fun, or a chore? (I actually enjoy them.) Do you schedule your own events, or does your publisher handle that? Do you prefer solo signings or multi-author events? Do you ever try to schedule signings in different locations for different times of the same day? (I don't.) Have your sales been better at indie stores or the big chains? Do you or your publisher produce bookmarks and/or brochures, and do you use them during signings? Do you often speak to civic/library/school groups and sell your books there? How aggressive are you at approaching readers (potential buyers) at signings? Are you sick of shoppers who go into a bookstore, buy an Elf on the Shelf or a Batman T-shirt, and never once look at a book? Are you sick of these questions? The truth is, unless you're a big-name writer, signings are a necessary task. Like 'em or not, they remain a great way to meet the reading public and move the books you've written. So, as my publisher would say, grin and bear it. Is that name spelled Catherine or Katherine? BY THE WAY . . . I'd like to announce that my friend and fellow writer Herschel Cozine will be posting a guest column in this space two weeks from now, on March 5. Be sure to tune in for that piece--I suspect it will be shorter than this one and I'm certain it will be better written. Herschel, welcome once again to SleuthSayers! Excellent article, John. Thank you for sharing your years of experience at signings. Thanks for the excellent advice, John. If I ever get around to writing a book I will use it as a guide. Richard and Vicky -- many thanks! A lot of my writer friends truly hate booksignings, so I always feel I'm missing something--but they're honestly a lot of fun, for me. Great advice for a Newbie like me, thank you. Especially, "I'm John Floyd--I'm here signing books today," and then get out of their way. Thanks, Madeline, for stopping by. Many would disagree with me on that point. I'm just not comfortable coming on too strong to potential customers--to me, it seems to border on carnival barking, and if I'm the shopper I don't like that. I must admit, for every weird encounter I've had at a signing, there've also been a hundred conversations with normal, interesting folks. But it's the odd happenings that we always remember. Great article, John. I enjoy book signings for many reasons. To sell books is always good, but I also enjoy meeting new people and getting to see old friends. Hey Deborah -- thanks for the kind words. Yep, the fun is in the people you meet, or see again. One hard thing is to have an old friend stop by who just wants to stand there and chat for an hour or so--it's a problem I've not been able to solve, because I want two things at once: (1) I want to talk with him/her and (2) I also want to also pay attention to other possible customers. If anyone knows the answer to that one, let me know. John, this may not work for your situation. But here goes: I used to do a ton of talks on the talk circuit and would periodically run into people I knew from other venues who wanted to chat. 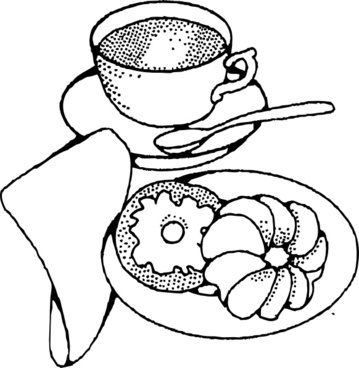 On the talk circuit, one of your jobs is to "be around" at coffee times and so on, so you are available to students and others who want to ask you questions about their own work or yours. But sometimes you wind up standing there alone (for various reasons, including the pulse of when people come and leave to open coffee settings). After a couple of occasions when I realized that shyer new-comers left without saying anything because it would mean that had to intrude on what looked like a private conversation, I started doing two things: (1) I invited the person I knew to to sit BESIDE me (instead of facing me), and (2) I literally said, "Oh it's so good to see you again, so-and-so! But let me ask you to sit over here so I can keep an eye out for someone who doesn't know me yet and needs to talk -- and just so you know, I'm going to be keeping an eye out for them instead of looking right at you sometimes, but I'm still listening. It's just part of why I'm here, you know, so I hope you don't mind. Maybe it was schlocky of me to say that, but no one ever minded. In fact, they usually seemed kind of pleased, as if they'd been asked to "help lead" in the situation. So when someone DID show up, they frequently smiled and excused themselves, and then later it was clear they felt kind of good about it -- like they were part of the knowing "in" crowd to do that. Kind of inner circle sort of thing. I don't know if it would work at book signings, but for what it's worth, it worked for me in this other type of venue. Vicki, I can't believe I misspelled your name. Since I did know better, I'll blame it on my typing finger. GOOD ADVICE, Anonymous. And it makes sense. It's always difficult, even in social situations that have nothing to do with signings or speaking engagements, to have to turn away from someone you know in order to talk or do business with someone else, but I think your method would work well. Certainly a diplomatic approach! I was signing books at Once Upon a Crime, the wonderful mystery book store in Minneapolis, when the last person in line introduced himself as a lifelong friend of Bob Dylan. “You’ve gotta be punking me,” I said. The man assured me that he wasn’t. I turned and looked at the bookstore owner. I am one of his favorite authors? Still not quite believing, I asked if I should just sign the book or write a dedication. Bob, the man said, would like you to dedicate it to him. To Bob Dylan or to Robert Zimmerman? I asked, knowing the name the great man was born with. “He prefers ‘Bob Dylan,’” his friend said. I don’t think I need to tell you what Bob Dylan has meant to me, a writer who came of age in the 1960s. I was so flummoxed that I don’t even remember what I wrote in the book. I’m guessing it was either “Mulligan is still Tangled Up in Blue,” or “Mulligan’s got The Memphis Blues Again.” Those are references to Dylan songs, of course, and as readers of the Mulligan novels know, my series character is a big fan of the blues. This HAS to be your favorite signing story, Bruce. What an honor! Dylan meant a lot to all of us who knew and grew up with his music. A fantastic story. Thanks for stopping in at SleuthSayers. Keep up the good work! What great suggestions you offer and the comments here are interesting as well. Thanks, Jacqueline. Signings are an interesting subject, and one of the few times we writers get to meet face-to-face with readers we might not already know (and, when we're lucky, readers who like to read OUR books). As for the comments, it's always fun to hear the stories and opinions of other writers. Isn't it a warm feeling when a reader makes you feel you're doing him or her a great favor by signing a book? When the truth is, without them we wouldn't be creating the books at all. I swear I've met some of the nicest folks in the world at these events. Thanks, Marilyn--if anything I've said helps, I'm pleased. I suppose all this boils down to doing whatever the signer feels comfortable doing. I know people who can easily walk up to strangers and start talking about how great their book is and how everyone should buy it--and if that works for them, that's great. I know, though, that as a shopper I react more positively if a seller takes a more laid-back and low-pressure approach. Good luck to you and anyone else who has signings upcoming! Hope all goes well. Late to the party, john. Just back from a trip to SoCal. Great article. Of course all of that good advice is lost on me since I have never written a book. Thanks for the mention. You are half right. The blurb will be shorter. Better written? In my dreams! Herschel, remember that all my books are just collections of stories, and you've written a boatload of those. Looking forward already to your column in two weeks! Great advice, John. And sorry to be chiming in so late. Thanks, Paul. To each his own, but these are the things that have worked well for me. It's a crazy subject. Hey Bobbi! Many thanks, and yes, I know what you mean. I'm reminded of one of Lawrence Block's excellent books on writing, Telling Lies for Fun and Profit. Those luncheon events are fun but not profitable. I love all your posts, John. But, I really appreciate it when you share advice like this. Fantastic and useful info. You claim it's long, but I think your concise writing -- comprised by all of your short stories that I've read -- is present here. Your natural ability makes this post a nice length: short enough to be easily digested in one sitting, yet long enough to include a ton of tasty morsels that really clue-in people like me. I shudder to think what you could SELL this information for. Thanks, for sharing in this manner. This type of post, imho, is one of the major factors that render great value to the SS blog. John, I'm glad you agree with me (against the majority opinion) that an author can do better signing solo. I once shared a signing table in a Barnes & Noble, I think it was in Charlotte, NC, with Judi McCoy, a lovely woman, now, sadly, deceased, who wrote a $7.99 paperback series of New York dogwalker mysteries. I had my $25.95 hardcover series (pre-Amazon prices) of New York recovering alcoholic mysteries to sell. We were well placed near the entrance to catch customers' eyes. Unlike you, I do say, "Do you read mysteries?" --a technique I learned from Chester Campbell and his wife Sarah, who have used it to good effect for many years. Judi, on the other hand, led off with, "Do you like dogs?" Guess whose books flew off the shelves? She ended up surrounded by buyers with someone's adorable dog sitting on her lap. Dix, how kind of you! As for the value of such advice, I once heard that the worst thing an instructor can say is "This is the way you do it," and the best thing is to say is "This the way I do it"--because everyone's different and everyone's approach is sure to be different as well. But if this helps anyone, I'm certainly pleased. Best to you and yours, my friend. Keep up the good writing! I've met Chester and his wife, and I'm glad that line works for him, and for you, but I really do prefer the no-pressure approach of handing somebody a brochure and then vanishing. (It's amazing how many times that leads to a later sale!) If I do more than that, I feel like an overbearing shoe salesman who just can't resist pestering the shoppers. Different strokes for different salesmen, right? Thanks for stopping by, today!--we miss you here at SS. Thanks for the good advice, John. So far, I've done just one solo signing and sold just one book, to a casual acquaintance who happened into the store and was obviously surprised to see me there. He seemed to find the situation socially awkward and said, "Well, I'll have to buy one of your books." I found the situation socially awkward, too, and spent the next five minutes trying to talk him out of it. ("You've never said you're interested in mysteries--it's written for young adults--I'm not sure you'd enjoy it.") I didn't want him to feel pressured into buying something I was pretty sure he didn't really want. In the end, he bought it, and I still feel guilty about it. Oh, well. At least my first signing left me with a long list of things to do differently next time. Thanks, Bonnie! Believe me, ALL of us have those sad stories. Yes, the truth is, I'd actually rather sell a book to someone I don't know, because when it's a friend I always wonder if he/she is buying it for the wrong reason. Another interesting fact: During my Christmas-season signings, I find that many of the books I sign aren't purchased as Christmas gifts but as something for the buyer to keep, himself or herself. But Christmas is still a great time to sign because holiday shopping brings so many more people into the store. I just read your mystery story, Home Delivery, in Woman's World magazine - so enjoyed it!! Looked you up and found this great & helpful article. Thank you. Five Red Herrings, Numero 7.